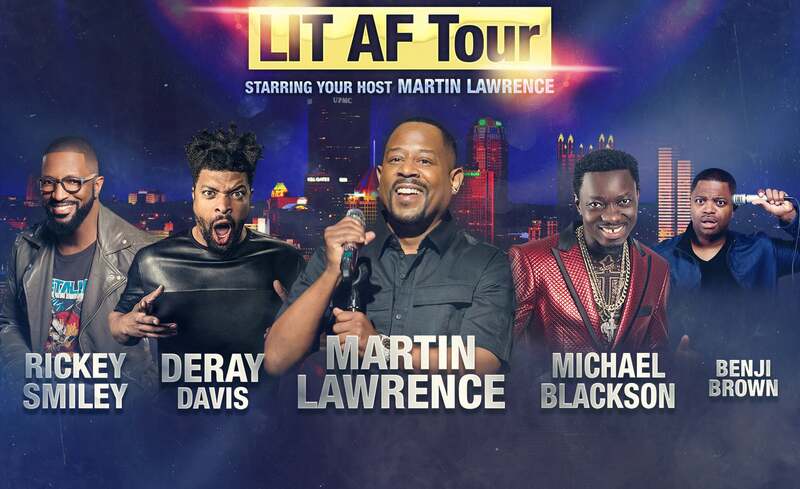 Los Angeles, CA – July 23, 2018 – Back by popular demand, comedian, actor, director and producer Martin Lawrence has added 19 more dates to the LIT AF Tour. Lawrence stars as the high-powered host of 2018's hottest comedy event, presenting a fire lineup of comedians including DeRay Davis, Rickey Smiley, Michael Blackson, Jay Pharoah, Deon Cole, Bruce Bruce, Adele Givens, Clayton Thomas and Benji Brown. Coming off the 20th anniversary of Def Comedy Jam, where he is known for his legendary hosting, Lawrence has made a triumphant return to the stand-up stage wowing audiences with his signature style of hilarious stories, social commentary and more. The 18 date Spring leg of the LIT AF Tour played to sold out crowds in major cities across the country including Los Angeles, New York, Atlanta, Washington, DC, Chicago, Miami and Las Vegas. The Fall/Winter leg of the LIT AF Tour kicks off on September 21 in Pittsburgh and hits 19 cities across the continent including engagements at Amway Center in Orlando, Scotiabank Arena in Toronto, Little Caesars Arena in Detroit and a New Year’s Eve performance at Royal Farms Arena in Baltimore. Tickets go on sale to the general public on Friday, July 27 at 10am local. The full tour itinerary is below. For ticket information and lineup by city, please visit martinlawrence.aegpresents.com.